Seriously? #Racist Thoroughly Modern Millie AGAIN? Thoroughly Modern Millie is an Anti-Asian Racist Musical! 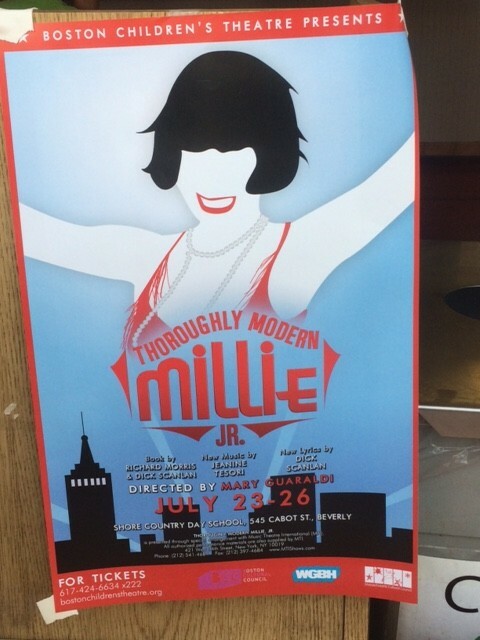 Boston Children’s Theatre proudly presents the high octane musical THOROUGHLY MODERN MILLIE JR. Featuring students from BCT’s pre-professional Summer Studios 3 program, THOROUGHLY MODERN MILLIE JR is the story of a small-town girl who follows her dreams to the big city, where she finds romance, adventure and above all, fun. The show will have audiences dancing in the aisles! How Asian Americans Are Portrayed in U.S. Media. Who Should Be the Next Asian Old Spice Guy? A Racist Bakesale Exposes Reverse Discrimination Against Asian Americans (I include this link because this is the real racist front that Asian Americans are currently fighting. All my posts on this topic are here. Mia Wenjen blogs at PragmaticMom: Education Matters, here and occasionally at her Asian American blog JadeLuckClub. She resides in Newton with her husband and three kids, the oldest of which will attend Newton North High School this fall. She can be found on Pinterest, Twitter, LinkedIn, Facebook, Sulia, Google +, Instagram and YouTube. Photo credit: Grasshopper and Sensei, my oldest. Category: Diversity · Tags: Seriously? Thoroughly Modern Millie AGAIN?